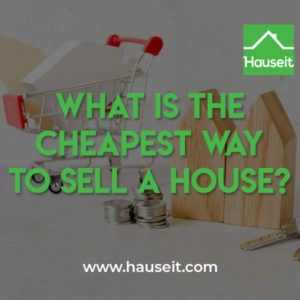 The cheapest way to sell a house is to list your home For Sale By Owner, followed by paying for a flat fee MLS listing service, followed by hiring a discount broker for reduced commission. 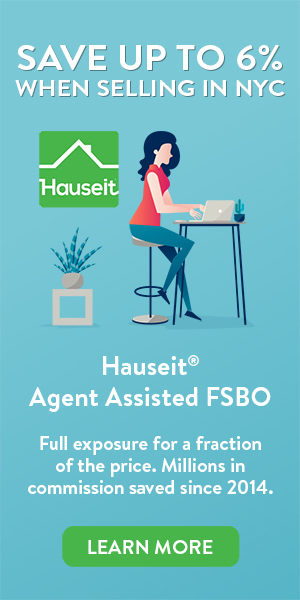 The most effective methods however involve combining flat fee and discounted services with our traditional partner brokers who can discreetly offer reduced commissions through Hauseit. Selling For Sale By Owner (FSBO) may be the cheapest way to sell a house because many public search websites will charge you little to nothing to post your home for sale by yourself.1 Furthermore, it doesn’t cost much to buy a “For Sale” yard sign and to stick it out on your front yard. Nor will it cost you anything to email your friends and family and to share your home sale with your friends on social media. Selling For Sale By Owner may certainly be the cheapest way to sell a house, but you’ll most likely sell for far less than market value, if you manage to find an acceptable buyer at all. That’s because FSBO properties are by definition off market because they are not listed in the MLS broker database nor all available websites. Remember that 90% of deals are still done between a buyer’s agent and a seller’s agent, which means that the vast majority of home buyers today are represented by a buyer’s agent. Buyer’s agents generally search for listings on behalf of customers using the MLS because all listings in the MLS are automatically co-broked. This simply means when a seller’s agent uploads a property onto the MLS, the seller’s agent automatically and contractually agrees to split commission with all potential buyers’ agents. Furthermore, buyers’ agents don’t need to look anywhere else but the MLS because well over 90% of all listings are listed by an agent, and all agent listings must go in the MLS if the agent is a MLS member. As a result, selling a home For Sale By Owner may indeed be the cheapest way to sell a house, but it’s certainly ineffective because sellers by default will miss out on the vast majority of buyers. 1This isn’t true in some high priced markets like New York City, where local search websites will charge upwards of $800 per month to list a home FSBO. Selling your home through a flat fee MLS listing service is also one of the cheapest ways to sell a home, though it’s never free. By definition as the name suggests, sellers pay a flat fee upfront to a company or brokerage to list their home on their local MLS plus other relevant websites. Keep in mind that flat fee MLS listings require you to offer commission in the MLS to buyers’ agents, so if you decide to sell to a represented buyer, you may owe a typical buyer agent fee of up to 3% in commission. Be careful in choosing your flat fee MLS listing provider, as many websites offering this service will charge an arm and a leg only to list your property on the wrong MLS. For example, a seller in NYC can easily be fooled into paying up to $1,000 for a flat fee MLS listing package from a company that claims to cover all 50 states. The flat fee MLS website will claim to list your property in your local MLS, regardless of where you are in the United States. Unfortunately for this NYC home seller, there is no predominant MLS in New York City, and real estate brokers are mostly members of REBNY, a private organization that operates a broker database called the RLS. This seller will have paid up to $1,000 to be listed on the Long Island MLS, the New York State MLS or some other broker database that is completely irrelevant for a seller in NYC. Lastly, watch out for flat fee MLS companies with names that are highly offensive to brokers. Believe it or not, many of these companies will have names that are variants of “Brokers No More” or “No Agents Allowed.” Hilarious, since these same companies are offering a service that allows sellers to offer commission to these same agents, to entice them to bring their buyer clients. Just how incentivized do you think a traditional agent will be to cooperate with a company who’s out to disrupt their livelihoods? Pro Tip: Sellers can list their property with one of our reputable, traditional broker partners for a flat fee through our Agent Assisted FSBO program. Not only will you be listed in the right MLS (RLS for NYC customers), but your listing will be indistinguishable from other full commission listings. This means less broker harassment and solicitation from agents looking to poach their next seller client, and no boycotting by traditional agents because your property is listed with a traditional agent! 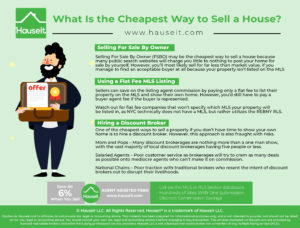 One of the cheapest ways to sell a property if you don’t have time to show your own home is to hire a discount broker. However, this approach is also fraught with risks. After all, if you could save on commission with no downside, why isn’t everyone doing it? A discount broker typically has two approaches to splitting the commission. The first is to charge a lower total commission amount but to still split it equally. The second is to take less as the listing agent, but to still offer a full commission to buyers’ agents. The former is better for the discount broker because he or she will earn more; however, it’s less effective as a selling strategy because a low co-broke will discourage many buyers’ agents from showing the property. The latter is more effective for the seller because it enables sellers to still get the attention of buyers’ agents, some of whom won’t work for less than 3% or 2.5% in commission. Mom and Pops – Many discount brokerages are nothing more than a one man show, with the vast majority of local discount brokerages having five people or less. Unless these sole proprietors really enjoy showing properties for a living for a tiny fraction of what their traditional colleagues make, they eventually realize that their business is not scalable and give up. Sadly, what many of these well intentioned disrupters don’t realize until it’s too late is that no one signs up to be a real estate agent in order to have the opportunity to earn a flat fee or 1%. People study to become real estate agents because they have dreams of earning 6% on multi-million dollar condos in Manhattan. As a result, these mom and pop discounters never grow larger, and without salespeople they by default cannot scale their services. Salaried Agents – Some discount brokerages will try to claim that their agents provide better customer service and have less conflicts of interest because they are on salary vs commission. What happens in reality is generally poorer customer service as brokerages will naturally try to cram as many deals as possible onto their agents since there’s no incremental cost to doing so. We saw this happen when Foxtons tried to disrupt the NYC market with salaried agents. What ended up happening was customers would never hear from their overworked agents after signing a listing agreement, and they eventually went out of business. Furthermore, talent is relatively scarce in real estate despite the large number of licensed individuals, and talented salespeople by definition will gravitate to a more meritocratic role with upside. National Chains – Discount brokerage isn’t a new concept, and some of the larger discount brokers have been around for decades. However, there’s a reason why the real estate industry hasn’t been disrupted, and why some of these publicly traded discounters have less than 0.5% market share in their home counties. That’s because real estate in the United States is a dual agent model where both the buyer and the seller will have an agent. As a result, agents need the cooperation of other agents in order to complete a transaction as 90% of deals are done between two agents. This means that discounters out to disrupt the livelihoods of their fellow agents, whom they are presumably trying to induce to work with them, isn’t a sustainable strategy. It’s fairly obvious that there will be resentment and a lack of total cooperation by traditional agents. 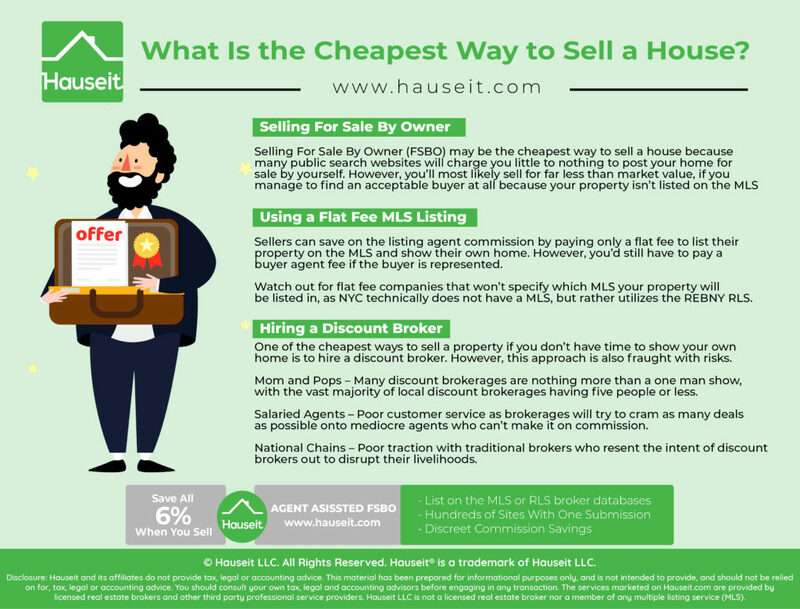 Pro Tip: Sellers can save money without disrupting their deal by working with one of our brand name, traditional brokerage partners who have discreetly agreed to reduce their commission through Hauseit. Because you’d be working with a traditional brokerage vs a discount brokerage, you by default won’t be treated any differently by other agents. Furthermore, other agents can generally only see the commission offered to them in the MLS, but the commission arrangement with your listing agent is private. So because the commission arrangement is private and because the broker you are listed with is a reputable traditional broker, no one will know that you’re getting a better deal!